Thank you so much for stopping by today.....I have to get outside as the weather is spectacular! Enjoy your neck of the woods! 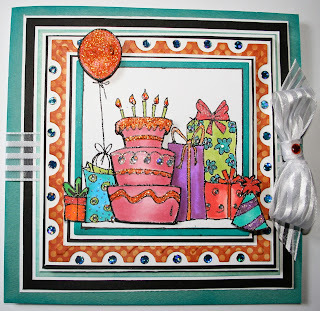 Wow, I have a feeling Clarice's friend is going to ADORE this card, Sheila! So many wonderful details, and as always - love your coloring! Super cute Sheila. Love the colours and the glitter. Great layering as well. 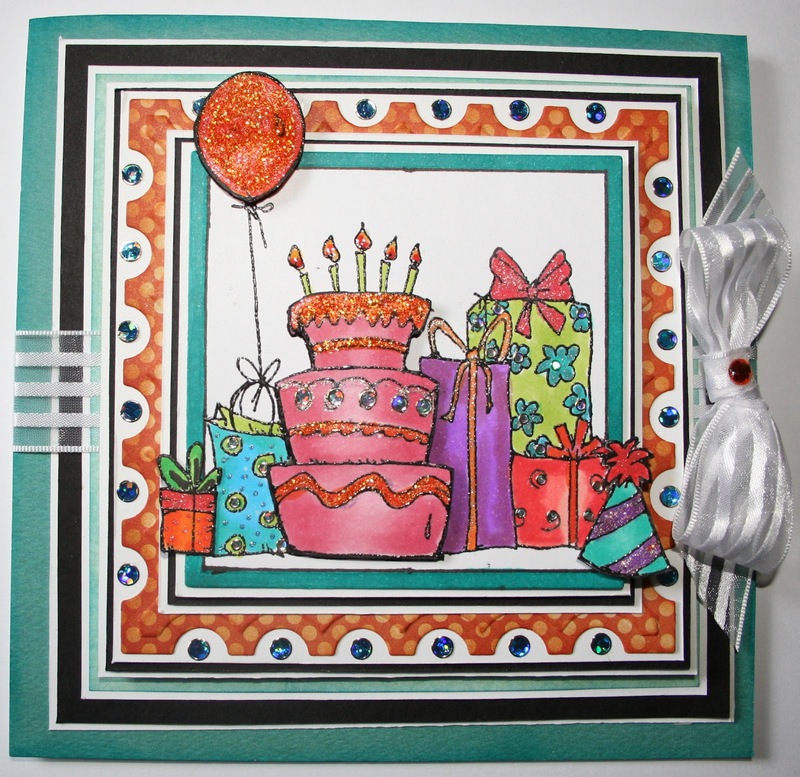 Love this party-packed card filled with happy colors and sparkling festiveness! I always enjoy seeing how you use the postage stamp die! Sweet card filled with typical "Sheila" color and flair :) Love the little bits you popped out and of course stickles and ribbon finish it off beautifully! Beautiful colors & such a fun card! Bet your daughter & her friend love it! Sheila, I love the card! It's so cheery, colorful and full of bling! So well done and I know her friend will treasure your card.